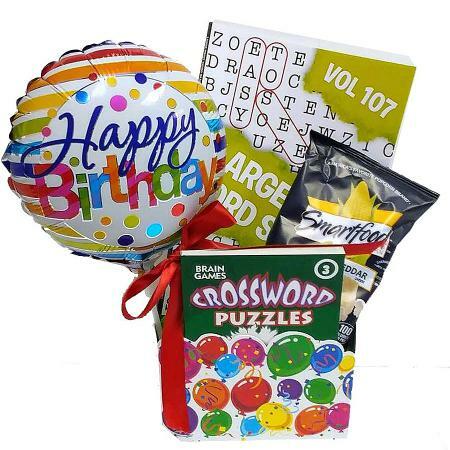 The perfect birthday gift for anyone. 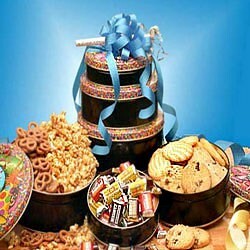 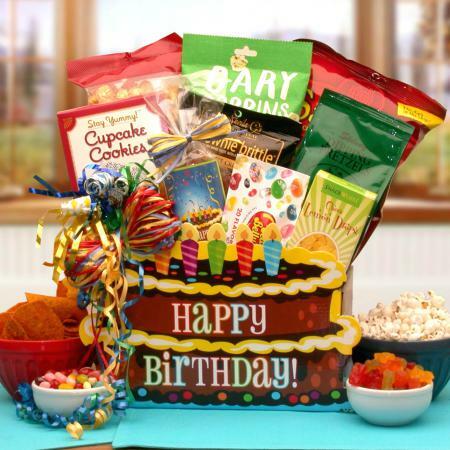 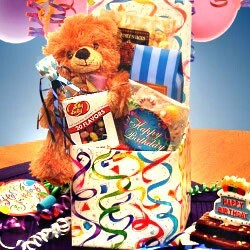 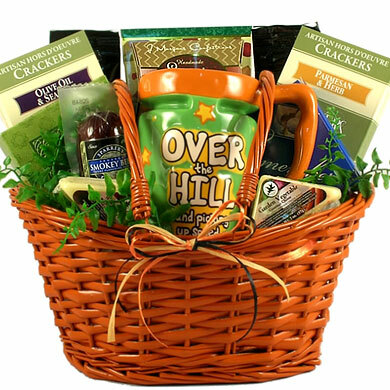 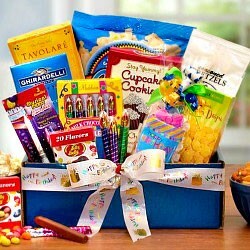 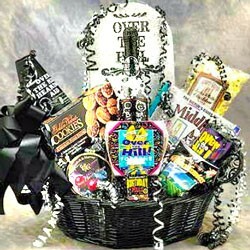 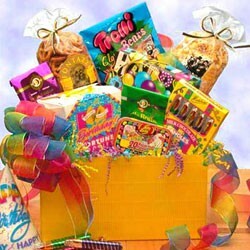 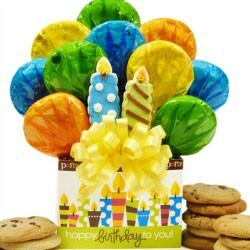 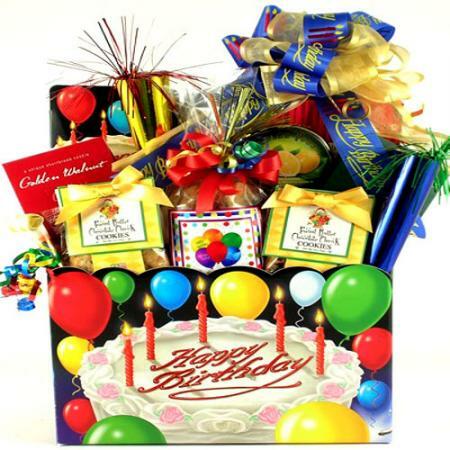 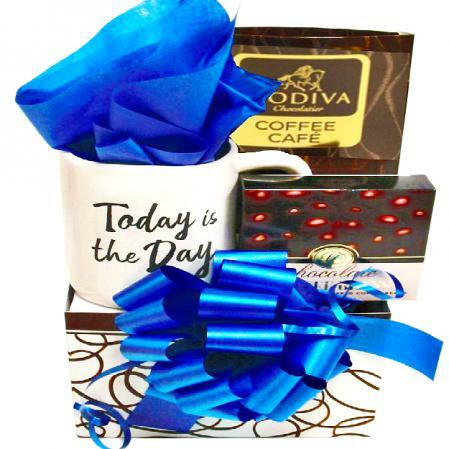 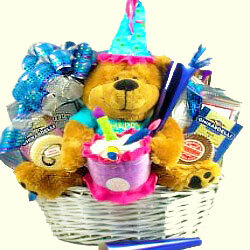 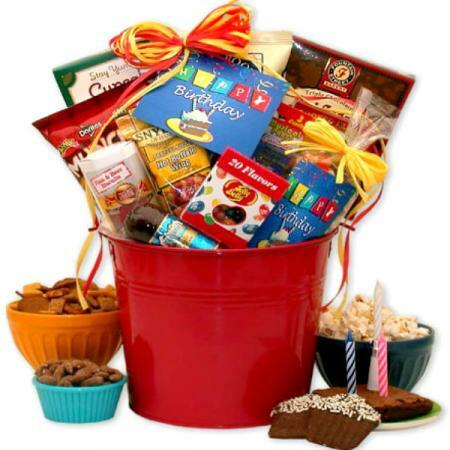 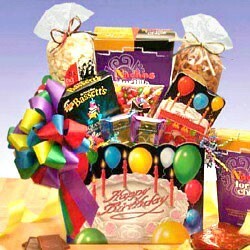 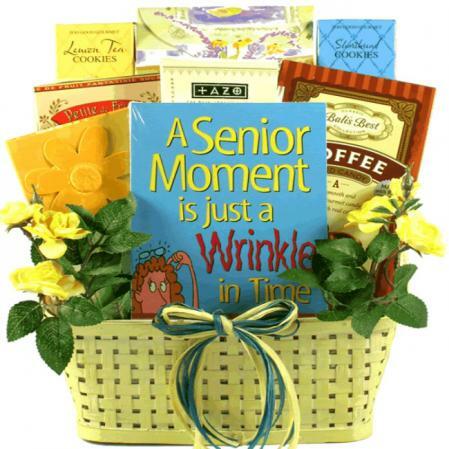 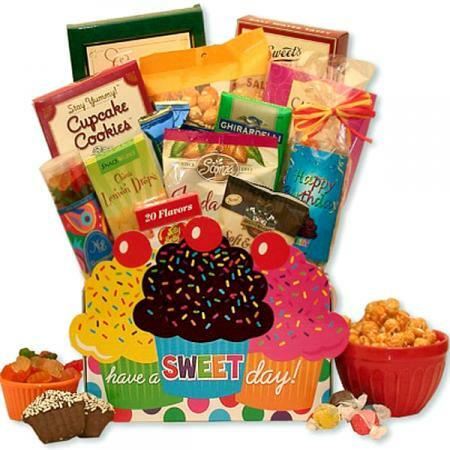 Send this festive birthday basket filled with birthday goodies to show you share the excitement of their birthday. 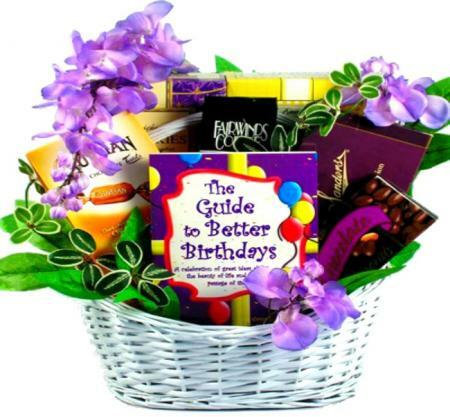 Turn their Birthday into a Bash with this cheerful arrangement of gifts and gourmet treats that is sure to make their day even more special!! 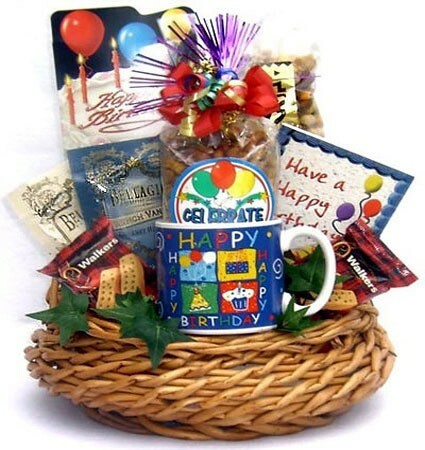 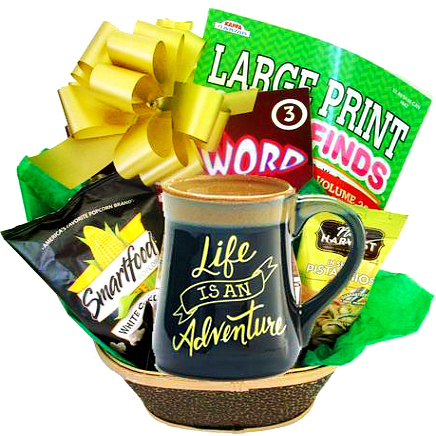 This Birthday Gift Basket is a great gift idea for that person who has everything, because we're willing to bet that they don't have their own birthday gift basket yet. 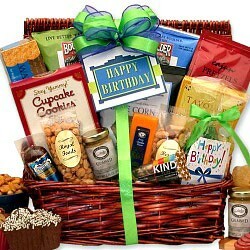 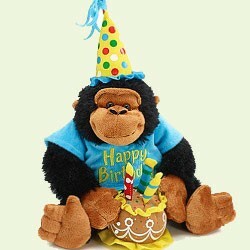 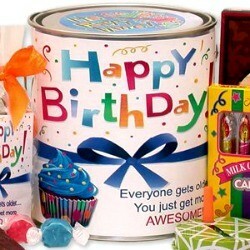 Click here to view more birthday gift ideas.